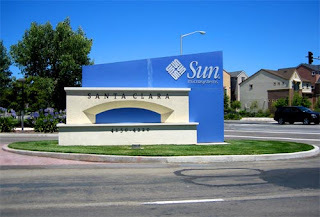 It looks like Oracle is going to buy Sun Microsystems for $5.6 billion (net of Sun’s cash cache). Maybe the deal won’t happen. Maybe IBM will swing in with a counter offer. At this point, though, the odds are good that Oracle’s going to end up owning Java and all the other Sun technologies. Oracle is getting a lot of very nice intellectual property. Whether that IP — as well as Sun’s product lines, maintenance agreements, licenses, consulting gigs and sales contracts — are worth $5.6 billion, that’s hard to say. Overall, though, Oracle is clearly the biggest winner in this deal. It’s getting core technology that will cement its position in the application server market, and also give it obvious control over key industry specifications like the Java language, the enterprise Java EE platform, and the very important Java ME platform. Expect Oracle to exercise that control. Let’s see who else wins and loses. Loser: IBM. For years, I’ve speculated that IBM would purchase Sun just to secure a tight control over Java – which is a core technology that IBM depends upon. Now, that technology, as well as the Java Community Process, is going to fall into enemy hands. Bummer, Big Blue. Winner: Java. Java is very important to Sun. Expect a lot of investment — in the areas that are important to Oracle. Loser: The Java Community Process. Oracle is not known for openness. Oracle is not known for embracing competitors, or for collaborating with them to create markets. Instead, Oracle is known to play hardball to dominate its markets. Winner: Customers that pay for Sun’s enterprise software. Oracle will take good care of them, though naturally there will be some product consolidation. Software customers may like being taken of by a company that’s focused on software, not hardware. Loser. Customers that use open-source or community-supported versions of Sun’s software. Oracle is not in the free software business, except when that free software supports its paid software business. Don’t expect that to change. Winner: Enterprise Linux vendors. Red Hat and other enterprise Linux distros will be dancing if Oracle decides that it doesn’t want to be in the Solaris business. On the other hand, this purchase makes it less likely that Oracle will spend big dollars to buy Red Hat in the near future. Loser: MySQL customers. If Oracle keeps MySQL, expect it to be at the bottom of the heap as a lead-in for upgrades to Oracle’s big-gun database products. If Oracle decides not to kill or spin off MySQL, that’s going to mean disruption for the community. Winner: Eclipse Foundation. Buh-bye, NetBeans! Oracle is heavily invested in Eclipse, and would be unlikely to continue investing in NetBeans. It’s hard to imagine that anyone would buy it, and the community probably couldn’t thrive if Oracle set it free. Loser: Sun’s hardware customers. 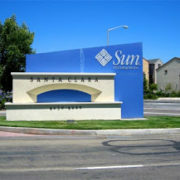 If Oracle stays in the hardware business, expect those Sun boxes to be only a bit player in Oracle’s product portfolio. If Oracle sells it, whoever buys it will probably milk it. How does “IBM System s (SPARC)” sound to you? Not very attractive. Biggest Winner: Sun’s shareholders, including employees with options. After watching their shares plummet in value, and after getting a scare from IBM’s paltry offer, they must be counting their blessings right now.